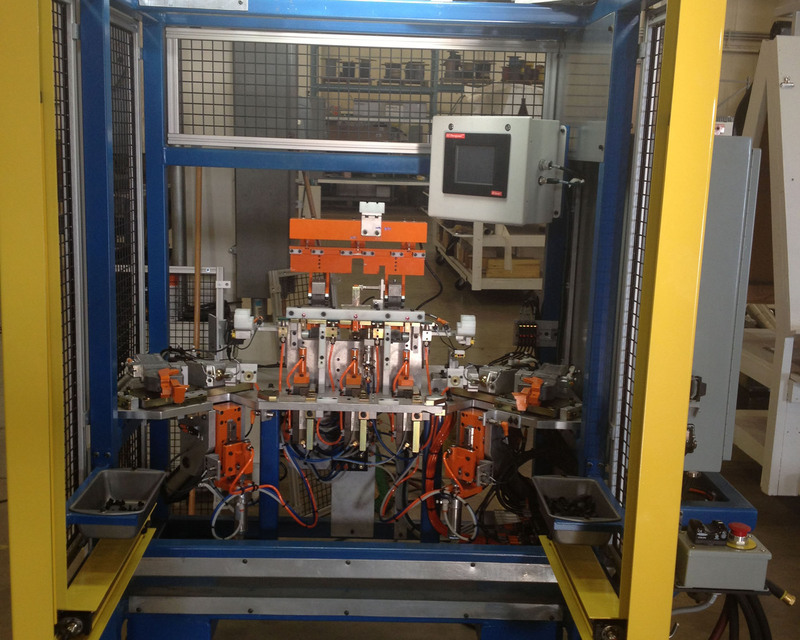 All Tech Engineering assembly machines are built to decrease inconsistencies and increase control. Below are a few examples that we have designed and built. Stand-alone manual assembly fixture, including: sensors, push pin drivers, height adjustment, lockable casters, light curtain, gaurding, and pin prick capability. 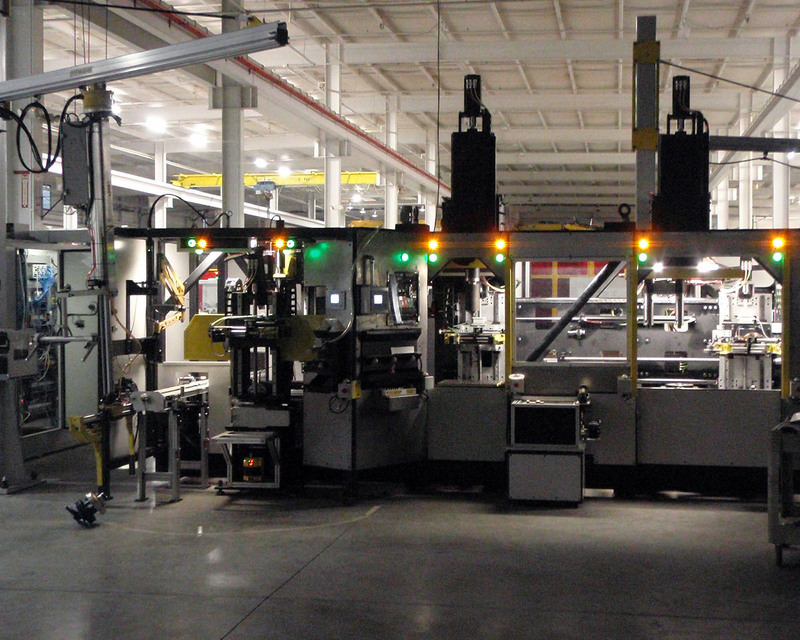 (5) Station semi-automatic assembly cell, including: bar code system, LVDT, servo presses, light curtains, Controllogix PLC, auto-fed electric screw gun, and bowl feed system. Various assemblies consisting of: (1) pulley, (1-2) press in bearings, (1-2) snap rings, (1-2) washers, (1) nut, (1) base, and (1) bar code label. 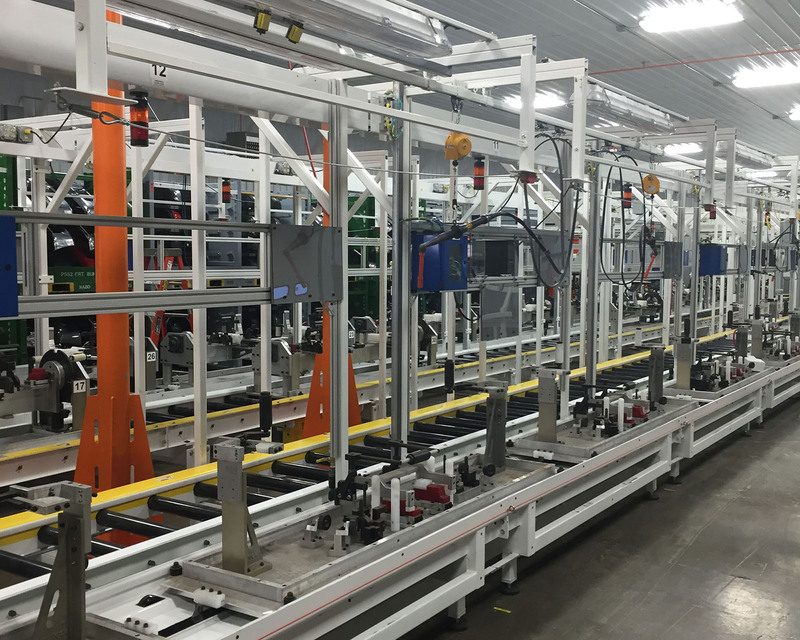 (13) Station assembly line, including: (1) Stand-alone fascia skid plate assembly station with 4 cameras, FPA test station, Knight Lift Assist, multiple bar code scanners, (8) Atlas Copco DC drives, fans, lights, part racks, and complete controls package. Automotive bumper assembly, including: fascia skid plate, fog lamps, wing brackets, and bridge brackets.